Not to sound like someone in their 30s (because I’m totally not…) but kids today don’t know how good they have it. To them, things like streaming video are a given. They’ve never had the experience of spending a literal day’s time downloading a single song from Napster or getting yelled at by their parents for tying up the phone line with their Internet usage. 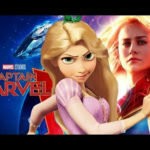 That’s why, for them, Marvel’s new Captain Marvel website will make no sense — but, for us, it’s a throwback of the greatest kind. 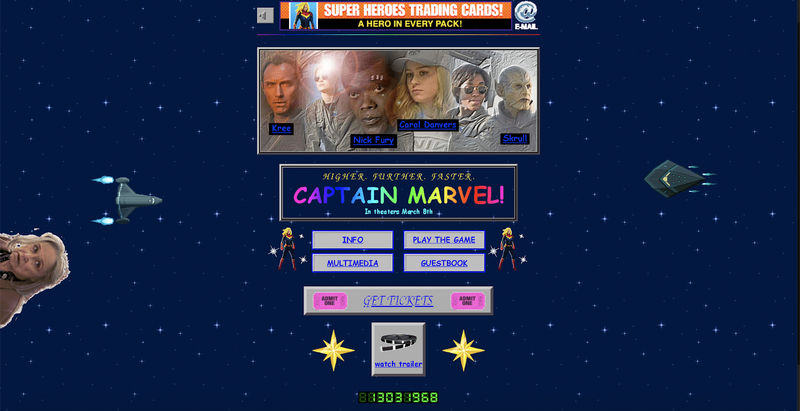 With the upcoming film finding Carol Danvers, Nick Fury, and others in the 1990s, Marvel has introduced a special promotional site you could swear was built on Geocities. 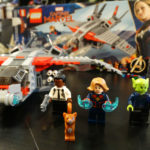 From the lo-fi .gifs and repetitive background image to the postage stamp-sized media window that displays a TV spot for the film, those of a certain age will have a flood of memories rush back to them. There’s even a guest book! Also be sure to explore because there are plenty of fun Easter eggs and activities to be found. Finally, for those who have no frame of reference to truly appreciate this Captain Marvel site, I recommend looking at the famously still intact Space Jam website to get a feel for how accurate this recreation is. 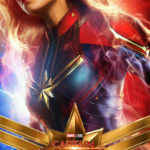 In any case, Marvel’s Captain Marvel hits theatres on March 8th — leaving you just enough time to download the trailer on 56K dial-up.